Memorial Stadium was a boon for Seattle Reign FC when the club took up residence there beginning in the 2014 season. After a season at the quaint but inconvenient Starfire Sports Complex in Tukwila, Washington, the Reign would be playing home matches underneath the world famous Space Needle, walking distance to multiple bars and restaurants, on a field that—while hardly ideal—had American football lines mostly scrubbed for NWSL match days. The locker rooms were renovated to accommodate the arrival of women’s professional soccer. Five years later, Memorial Stadium no longer meets the standards of the National Women’s Soccer League or the Reign. And so, on Wednesday, the club announced a new partnership with the Tacoma Rainiers Triple-A baseball team to move south to Tacoma and play home matches at Cheney Stadium. A new, 5,000-seat soccer stadium is in the works. If all goes perfectly, the Reign and Tacoma Defiance (rebranded from Sounders 2 at the same press conference) could be playing there by 2021. The Reign rebranded themselves as Reign FC, dropping “Seattle” from their official name even as they hope to bring many of their fans south with them to Tacoma. As for Memorial Stadium, the venerable but dilapidated old place is nearing its end game. A delay in its demolition (to be rebuilt) initially allowed the Reign the opportunity to play home matches there in 2019, but the team “ultimately determined that it was not economically feasible to make the improvements” required by NWSL. Ownership acted quickly enough to make the move to Tacoma immediately. One of these days, NWSL fans will look back at Memorial Stadium and have a hearty chuckle about how much it lacked. But over five seasons there were countless memories created by the Reign and even a few for their opponents — very few for opponents, though, as Memorial quickly became the best long-term home field advantage in the early days of the NWSL; Reign FC’s all-time record there is 36-6-16, including two playoff victories. It hosted two semifinals and would have hosted an NWSL Championship if not for the Bumbershoot music festival that forced the 2014 title match to be relocated to Starfire. When the Reign moved into Memorial in 2014, they threw down the gauntlet and refused to lose there. After an 8-0-4 mark there, plus a playoff win there in 2014, the encore saw them enter the final home match of the season 7-0-2 at home. 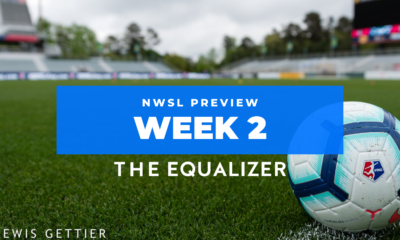 The opponent was Sky Blue FC, whose season had come apart at the seams with a 10-match winless streak immediately after opening day. But the New Jersey side had always played the Reign tough in Seattle and on this night went ahead on Nadia Nadim’s goal in the 6th minute. It was one of two shots Sky Blue would take on the night, to 13 for the Reign. But Laura Harvey’s club could not break through — until the 90th minute. By then, it was pouring rain on the Reign and Kim Little delivered a perfect cross to Jess Fishlock for the goal that kept the unbeaten run alive. The celebration said everything about what it meant to the team. A rare Memorial highlight for a team other than the Reign. After 24 straight unbeaten regular-season matches and two playoff games, the Reign finally lost at Memorial Stadium. But that was only part of the story. 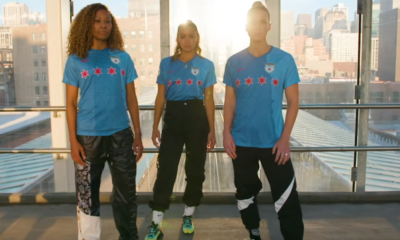 In Christy Holly’s coaching debut for Sky Blue, he was lifted up by goals from Tasha Kai and Kelly Conheeney. Kai had not played organized soccer since 2011 and Conheeney was finally making her professional debut after sitting out two full calendar years due to the effects of concussions. The Reign’s regular-season mark at Memorial ended at 16-0-6 plus two more wins in the playoffs. This is the highlight of Seattle’s end of the Cascadia rivalry. The Reign were dominated by the Thorns in 2013, but Seattle began to turn the tables with a late win in Portland in May. In the Thorns’ first visit to Memorial, it was all Reign all the time. Sydney Leroux opened in the 3rd minute and Kim Little finished in the 93rd. In between, Nahomi Kawasumi tallied twice and Megan Rapinoe once. The loss damaged the Thorns’ playoff chances, but they wound up sneaking in by beating the Reign in Portland on the final day of the season. The Reign won the Shield. 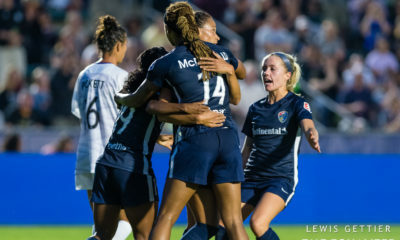 The Reign were massive favorites for their first ever playoff game, but the pesky Washington Spirit gave them all they could handle over the full 90 minutes. The visitors actually went ahead on 65 minutes through Veronica Perez before Kim Little equalized from the spot in the 72nd. Minutes 78 through 82 would tell the tale of the match. 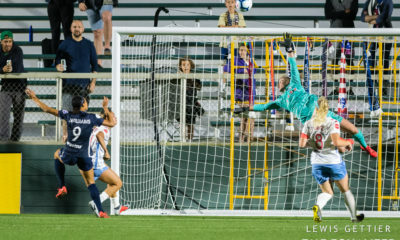 First, the Spirit won a penalty and looked poised to pull ahead late, but Hope Solo denied Diana Matheson to keep it 1-1. And then Megan Rapinoe took the ball clean off Toni Pressley and scored on a breakaway to send the Reign to the NWSL Championship. Sky Blue again! The Reign led 1-0 at halftime and few could have predicted what a wild second half was in store. First, the Reign scored three quick goals in a nine-minute span to take a 4-0 lead. Four minutes later Sky Blue earned and converted a penalty and then kept on scoring with a total of four goals in 16 minutes to tie it. In the 87th, Megan Rapinoe completed a hat trick to hand the Reign a 5-4 victory. The final goal was the product of an unusual mistake by Christie Pearce, whose career would end under odd circumstances three weeks later. A week after that, the teams would play a rematch in New Jersey, with Sky Blue picking up an equally bonkers, 5-4 win. A rematch of the semifinal from the year before was supposed to be a tighter battle, but the Reign dominated this one from start to finish. There was just one problem. Ashlyn Harris refused to cooperate and single-handedly kept the Spirit in the match. Bev Yanez, nursing an ankle injury, came off the bench in the 71st minute and literally scored on her first touch of the match to finally put the Reign on the board. Megan Rapinoe doubled the lead in the 75th and Mariah Bullock iced it in the 90th, delivering the Reign another trip to the league decider. 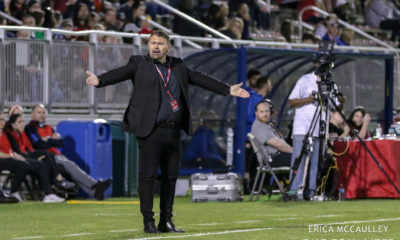 The closest call of the unbeaten run happened against the team the Reign were in the process of unseating for the Shield: the Western New York Flash. The home game before this was a 3-2 win over FC Kansas City — after blowing a 2-0 lead — to extend to a record seventh straight win (a league mark later matched by Kansas City). After that, a draw away to Kansas City ended the win streak. The Reign never led in this one, going down to goals by Abby Wambach and Carli Lloyd. 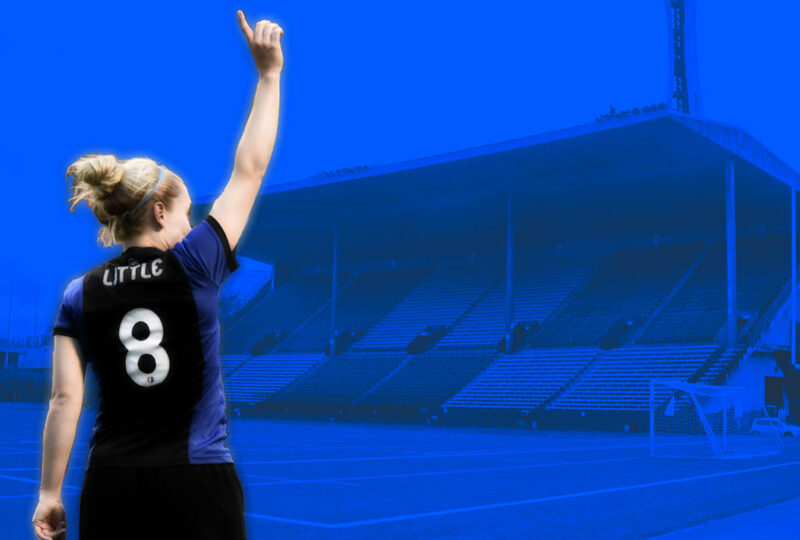 The Reign rallied twice, first through Jess Fishlock and then through Kim Little in the 93rd. The overall unbeaten streak would hit 16 games (13-0-3), an NWSL record that stands today. Megan Rapinoe scored the first hat trick in club history over a 16-minute span in the second half to lead an opening-night romp over the Flash. Notable in this match was the Flash starting lineup that included debuting rookies Abby Dahlkemper, Sam Mewis, Jaelene Hinkle and Sabrina D’Angelo. All were 2015 draft picks, all but D’Angelo in the first round. When Lynn Williams came on as a sub in the second half, it marked the fourth first-round pick to appear for the Flash. It did not seem so good at the time, but that quintet has since led the Flash/Courage organization to a pair of Shields and a pair of NWSL Championships over the last three seasons.